In honour of my brother’s most adored cat’s birthday, I chose to create a cat fairy. 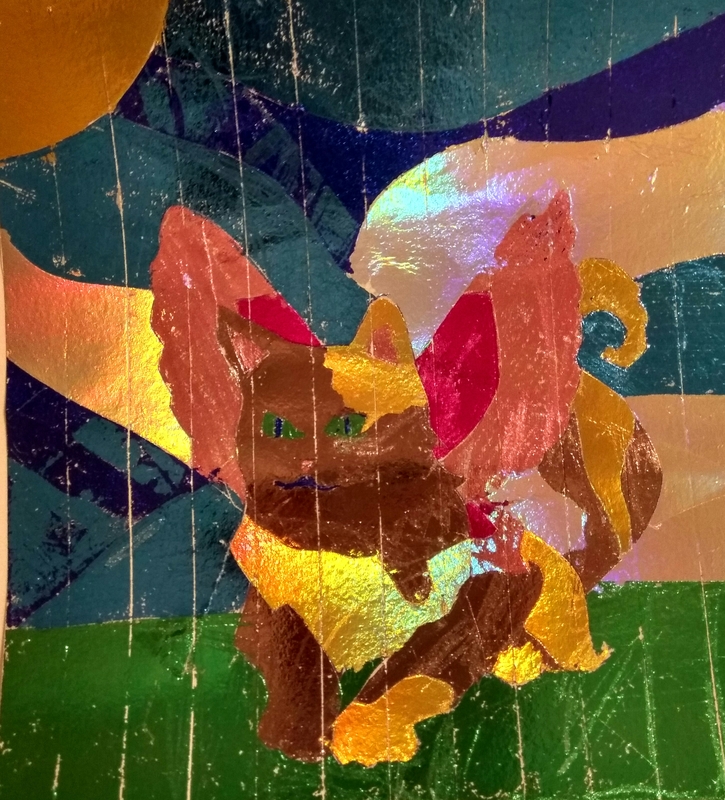 I drew a picture of the cat fairy on a piece of paper, covered the image with double sided sticky tape (hence the vertical stripes) and then used my craft knife to trace over the lines of the drawing underneath. I then removed the plastic top of the double sided sticky tape (one section at a time) before covering each uncovered section in coloured foil and rubbing the colour onto the tape.